WPPWPP group chief executive Sir Martin Sorrell. Sir Martin Sorrell founded WPP in 1986 with a loan on his shares in the advertising agency he was with at the time, Saatchi & Saatchi. He used that loan to buy a small company that makes baskets and shopping trolleys: Wire and Plastic Products. Almost 30 years on, WPP is the world’s biggest global advertising network, last week reporting revenues £8.23 billion for the first nine months of the year (up 2.8% on 2013). 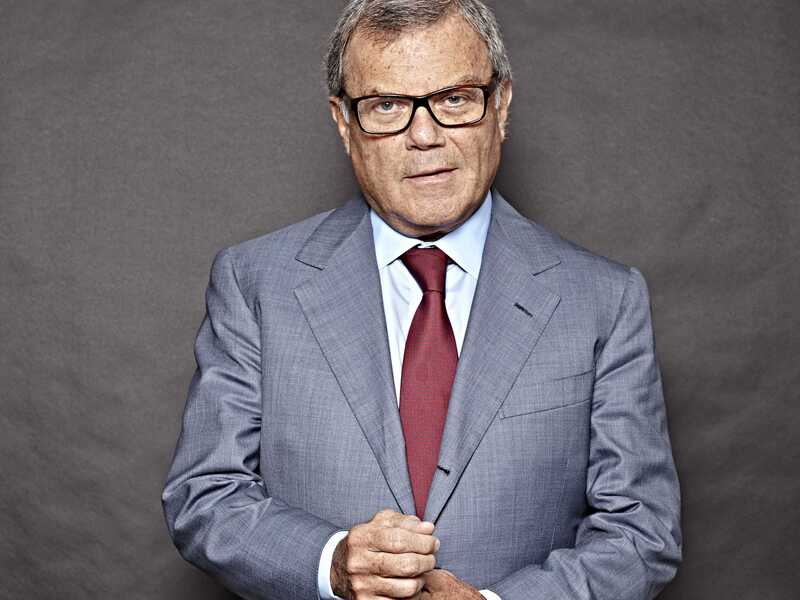 Knighted in the Queen’s 2000 New Years honours list, Sorrell is one of the most well-known, respected and richest people in the advertising industry. But his influence stretches far beyond advertising: WPP results often serve as a bellwether for the wider economy and Sorrell often uses his earnings calls to make predictions and macroeconomic analogies (which range from “grey swans”, to “bath tub-shaped” recessions). We sat down with Sorrell ahead of his appearance at the Internet Advertising Bureau’s annual Engage event in London to discuss the health of WPP, his thoughts on the current state of the economy, and the not-too-friendly relationship he has with his old rival, Publicis Groupe boss Maurice Levy. Sir Martin Sorrell: We have always been acquisitive. In the last three years we’ve come second to Google, Intel third, in terms of the number of acquisitions completed, according to a survey by Bloomberg. Of course what we’ve done is a large number of smaller deals. Markets tend not to like big deals. But we’ve found very good value and, most importantly, they have been aligned to our strategy of fast growth markets, digital, data and integration. This year we’ve said we’ll spend more on acquisitions. We were at about£300 million to £400 million, and this year we’ll spend around £400 million to £500 million. BI: Would you ever see WPP buying what is considered as a “traditional agency” ever again? MS: Those acquisitions are in line with our strategy, whether that’s in line with traditional agencies … well, hopefully not. Looking at [Business Insider’s] Peter Thiel interview, one would like to think we’re doing more “vertical” in his terms than “horizontal” acquisitions. Although there’s probably a fair number of horizontals as well. MS: Yes, even one-man, one-woman startups say that. If you went back to a nice round number like the year 2000, the fast-growth markets (which we consider to be mainly Asia, Latin America, Africa, the Middle East and Central Eastern Europe) would have been about 12% of our business. Today they’re over 30%. Digital would have been close to zero, but we were just getting into internet 1.0 and a lot of VC money at that time was going into public relations and marketing. So let’s say about zero. Now it’s 36%. Now you can’t add the two together and say 66% of our business is fast-growth markets and digital. You’d have to knock out about an 8% overlap between the two. But what you can say is that well over half of our revenue didn’t exist 14 years ago. That may be, in the digital world, a slow change. But for an old man like me at 69 years old, it’s a significant change. And I would expect that change to keep on happening even more rapidly. BI: Given the pace of change towards digital and ad tech, what kind of company would you advise a young person coming out of university interested in advertising to go into? An AppNexus or an Ogilvy? MS: If you went into Ogilvy — the same thing of J. Walter Thomas, Young & Rubicam, or Grey — all of those traditional agencies have sought, quite rightly, to change their offer and adapt to a changing environment. Whether that be a geographically changing environment or a technologically changing environment. There are two very hot areas for us at the moment: 1) technology-driven applications. We don’t originate in technology, we apply it, so businesses like Xaxis and AppNexus would be the ones that enable us to do what others call programmatic. 2) Content, whether that’s represented by Fullscreen, Media Rights Capital, what we did with Indigenous Media, what we did with RatPac and Warner, and most prominently with Vice. If you joined Ogilvy you could get involved in all that through GroupM and [email protected] because they have the strength there as well. BI: But isn’t adtech where the future is? Where the money is? Where you get stock options? MS: No, I think that’s a rather narrow view. The opportunities are in the applications of the technology. I think it’s overplayed to say “go to adtech,” whatever that means, because it means different things to different people. I think two of the most exciting areas we’ve explored over the last two or three years is what you’d describe as adtech, or what I’d describe as the application of technology, and content. BI: On the subject of the application of technology, then, and programmatic. A recent report from the World Federation of Advertisers suggested brands are moving their programmatic spend away from agencies as there’s a level of distrust in the way agency trading desks arbitrage the inventory, buying it at a low price and then selling it to clients at a higher price. How do agencies counter this? MS: There will be clients as there have always been in traditional media buying that do their own planning and buying. Look at Anheuser Busch: that was a company that did its own planning and buying for many years but has just awarded its planning and buying account to MediaCom US for about $US600 million. That goes against what you’re indicating. I think in-house agencies, whether media or creative, have been possible and active for many years. The question is whether in-house agencies or specialists — which by definition deal with only one client — are the right way to go. The issue is whether an in-house agency, particularly in the technology area, can continue to advance their technology in an effective way and whether the people who work in an in-house agency will be sufficiently challenged over the long and medium-term to continue to work then. Our experience is that good people like to work in multi-variant agencies which have a multiplicity of challenges and are not just concentrated in just one area of the economy and that in-house agencies over the long-term can’t keep up with the scale of change that’s going on outside. BI: Markets often look to WPP results as a barometer of how the economy is doing. You often describe the economy quite figuratively. How would you describe the global economy currently? 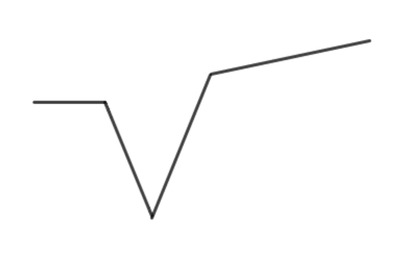 MS: Looking at WPP, it’s sort of like the square root sign. You saw the dip in 2009, the sharp recovery with the long end in 2010, 2011 a record, 2012 record results, 2013 record results and 2014 — if you ignore sterling and look at underlying results — that will be a record year as well. But that flat part of the square root sign is kind of on an upwards slope. I don’t see any reason, in the short to medium-term, why that will change. In other words, it will continue to be a slog. Worldwide GDP growth is running at about 4 or 5% and that’s likely to continue. It doesn’t make life impossible, but it doesn’t make it buoyant. Inevitably, finance and procurement is very focused on driving down cost and that makes life pretty uncomfortable for suppliers. BI: Is it right that people look to WPP as an economic bellwether? Isn’t that more looking at what advertisers are doing now as opposed to their outlook for the future? MS: Well with the average life of a CEO at 5 years, a CMO at 18 months to 2 years and a CFO at 3 years, as I’m advised, I think it’s natural for people to be focused on the short term. Financial institutions and investors also mainly have incentives built around quarterly performance and we do as well as we report quarterly. We are fortunate because we invest in human capital — WPP is a seething mass of humanity — and we can see that people are not slow burners like the oil industry or the energy industry. You make your investment in human capital and it pays off and you know pretty quickly if people are going to perform or not. We’re lucky because we invest about $US12 billion a year in people, out of $US19 billion in revenue and those are not gestation periods like capital investment periods. And for that reason I think we’re a reasonable bellwether of what’s going on: people can see the growth. be it geographical or where the changes are technologically. BI: Talk to me about grey swans [Sorrell uses the analogy to describe world events that can affect markets and individual companies that are known about, as opposed to “black swan” fiscal events that are not]. MS: I’m not sure Scotland is off the agenda. I’ve found people quite depressed and concerned up there. At one level you have Scottish nationalists who are worried about people backsliding about promises that were made around the election. On the other hand, there are those that voted “no” who are concerned about what the future of Scotland is going to be, even in a devo-max situation. So while Scotland has less impact, it’s not off the table and has implications for the Catalans and, indeed, other parts of the UK that have seen the debate about what role English MPs should play in determining legislation. The Eurozone is still an issue with quantitative easing. The US seems to be out of the doldrums and growing reasonably well; it seems to be going in the right direction. The UK is strong although there’s some signs of flattening out. France is clearly still in difficult. Germany is stuttering a bit but still relatively strong. Spain is still showing some signs of recovery, but also showing unacceptable levels of unemployment, particularly youth unemployment. Russia and the Ukraine is a black swan. And I guess we have to wait and see what’s happening there. I think the oil price is weighing heavily on the Russian economy. Then the Middle East, ISIS … Ebola is certainly a swan that came out of left-field and also has implications. There are lots of things going on. Many people you hear say that they can’t remember a time when there have been so many potential Sarajevos. I think the natural impact of that is that it makes people less sure of making decisions. It slows thing down. BI: There is often a lot of mudslinging that goes on between you and Publicis Groupe CEO Maurice Levy.He recently recounted your first-ever meeting, when you were CFO of Saatchi. The pair of you were supposed to be discussing a joint takeover deal for two US agencies, and Levy spent the day with you in London reviewing the terms.“From that day I had a less than great relationship with Martin,” Levy said. But you said (at a later, separate event, as reported by The Drum) this wasn’t true and he was merely the tea boy. BI: Coffee! But is this apparent hatred that plays out in the press real? Or is it just pantomime between two old rivals? MS: I don’t know if it’s pantomime. 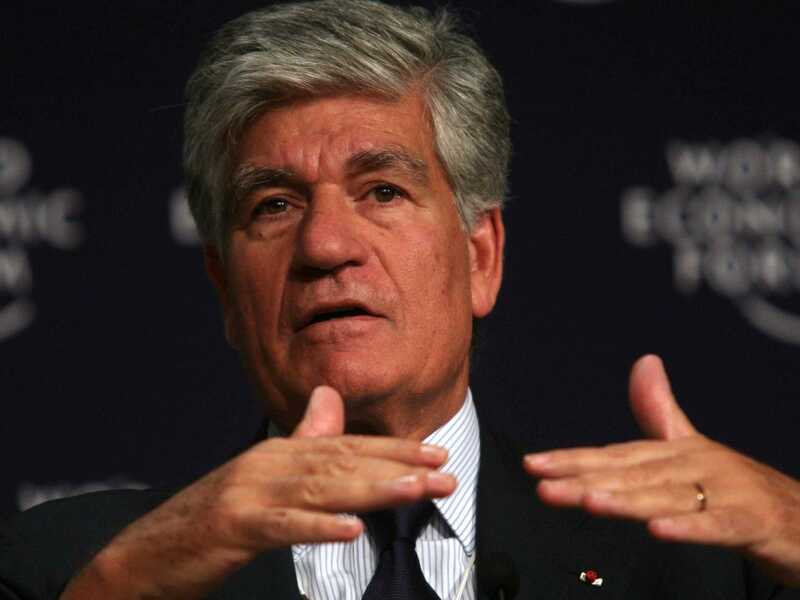 I think Maurice is smarted from, and his concerns probably emanated from, the Cordiant transaction [WPP beat Publicis Groupe to acquiring the advertising agency in 2003]. I think he’s probably deeply upset that in any contested in the public markets, we’ve always emerged successful. I think he’s found that very difficult to accept. BI: You’ve said before you don’t believe Levy will retire in 2017, as per his contract extension announced last month. Why is that? MS: Maurice and retiring is an oxymoron. BI: Would you ever let yourself retire before him? MS: (Laughs loudly) It’s not in my hands. I can get fired instantly or decide to go, again, instantly, it’s not under my control. I think he has a contract which he lengthens all the time. Or which other people lengthen, to be fair. BI: What do you feel you still need to achieve at WPP? MS: Going back to your Peter Thiel interview, it’s about if you can make significant change. Or create a monopoly. Peter likes monopolies, not competition, and I have to say I agree with him. The opportunity is to differentiate. I woke up this morning and we had another major media win in Bayer and two other things had happened which aren’t public yet. I think it’s the first time I sort of feel that we’re starting to get some significant differentiation in our offering and that’s always the critics’ challenge, because agencies tend to be regarded as all being the same. One of our major clients said to me 25 years ago: “I don’t move my agency because the people move; I should stay where I am and get the agency right,” a philosophy to which I agree. It’s very much a kind of Procter & Gamble philosophy. If the agency is wrong, fix the agency and get the right people. I think our focus is right at the moment: fast-growth markets, digital, data and integration. 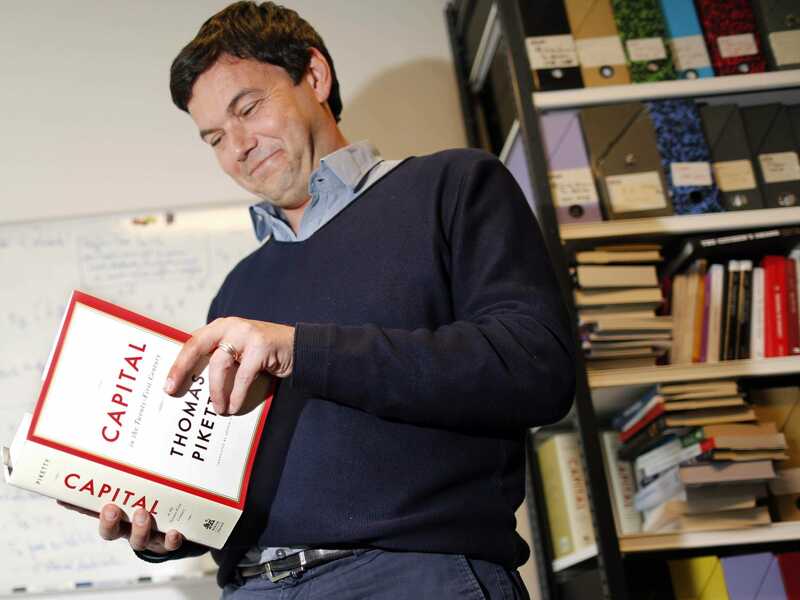 BI: Have you read Thomas Piketty’s “Capital in the 21st Century?”. Rightly or wrongly, your remuneration package is often criticised. Do you think Piketty’s argument that a concentration of wealth leads to economic instability rings true? And therefore, should there be less of a gap between CEO pay and that of their employees? MS: That may or may not be true but there are other things that determine economic growth as well: innovation, entrepreneurship, technology, infrastructure, tax, immigration policy, and so on, I don’t think you can isolate one variable. In terms of my own compensation, what people tend to forget is that about 85% to 90% of my compensation (Sorrell’s total pay package rose 30% to £30m in 2013) is based on performance. For 28 years, all my net worth is in WPP, except for a very small piece, therefore the success or failure of WPP is tied very much with what I am paid. BI: You’ve made a lot of predictions in your career; whether they are about advertising trends, individual companies or macroeconomics. What’s a prediction you’re proud you got right, and one you’ve got really wrong? BI: Do you think the failed Publicis/Omnicom merger has put off other agency networks pulling off similar manoeuvres in the near-term?